Grant Park, Minneapolis is a 27 story luxury high-rise in the Central Business District with 330 units inside. Some of the first luxury condominiums built in the 2000s, this condominium development was built by Opus Construction, the same company also behind the Carlyle condos along the Mississippi River. If you are looking for high end amenities and amazing views this condo development is for you. If you enjoy this type of Minneapolis home then you might also want to consider Skyscape Condos, the Carlyle condos and the IVY condos. Surrounding the two condo towers are The Grant Park townhomes. These are split-level homes, some with rooftop decks. 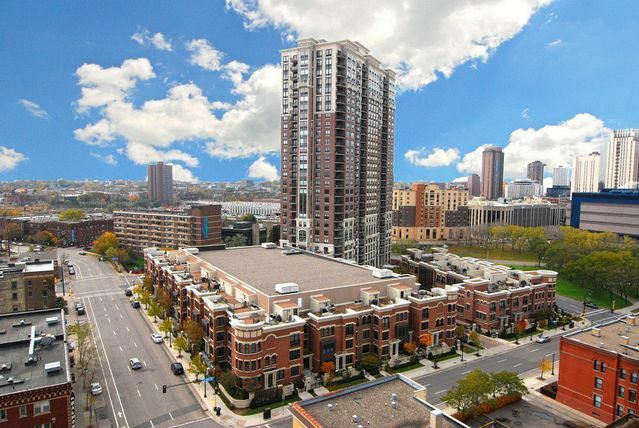 See all Grant Park Condos for sale in Downtown Minneapolis, or learn more about the features and neighborhood amenities that come with this high-end building. Looking to live at Grant Park condos and townhomes in Minneapolis but not finding what you are looking for? Inquire about our 'off MLS' Minneapolis Condo and Loft pocket listings. Residents of Grant Park enjoy plenty of deluxe amenities including a stunning indoor pool that is enclosed in a beautiful glass conservatory. Grant Park condos also have access to a professional workout room, steam rooms, sauna, tanning booths, 24 hour front desk concierge, business center and a party room equipped with televisions, fireplace and a kitchen. Rooms range in square footage from 853 to 3,226 sq. ft. In fact some of the units at Grant Park, Minneapolis come with more room than many of the single family homes in the area. 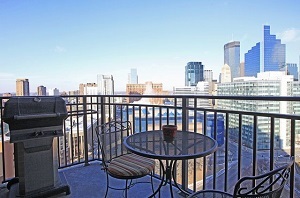 Living in Downtown Minneapolis offers residents of Grant Park Condos the best in urban living. This diverse community is home to upscale cafes and restaurants, retail stores, office space. LRT conveniently connects residents with the Mall of America, and the St. Paul International Airport. Parks: Franklin Steele Park, Mill Ruins Park, Minneapolis Sculpture Garden, Gold Medal Park, Loring Park, Peavey Field. Restaurants: Hell's Kitchen, Crave, Vincent A Restaurant, Bombay Bistro Fine Indian Dining, Ruth's Chris Steak House, Manny's Steakhouse, Zelo, Normandy Kitchen. Shopping: Marshall's, Saks Fifth Avenue OFF 5th, Slater Square, Barnes & Noble Booksellers Downtown, Walgreens Store, Macy's, Taget. Schools: DeLaSalle High School (Catholic, 9-12), City of Lakes Waldorf School (Private, PK-8), Fair School Downtown (Public, K-12), New Horizon Academy (Private, PK). 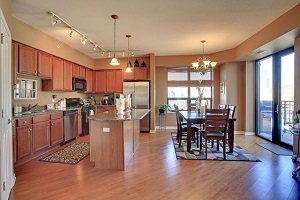 Do you own a condo in Grant Park condos and townhomes and happen to be thinking about selling? Let me assess your condos value and get you a price quote. Fill out my condo sellers form and our team of Minneapolis condo experts at Downtown Resource Group will get back to you with more information on the recent sales activity in your building as well as provide you a marketing plan and general market assessment.